Ireland boss Joe Schmidt will make a number of changes to his side to face the USA on Saturday in the final Test of the November Series. Following last Saturday’s victory over New Zealand, Sean Cronin, Jack McGrath, Rob Kearney, James Ryan and Jordan Larmour were all released back to Leinster, while Connacht’s Kieran Marmion will have surgery on an ankle injury. The head coach will name his XV at lunchtime today. Ireland, missing their Lions players, beat the USA last summer 55-19 in New Jersey. The Eagles have won all bar one of their 11 games this year, with the only defeat for head coach Gary Gold's side coming to New Zealand Maori. Ranked at 13 in the world, they beat Romania 31-5 in Bucharest last week. With the starting Ireland full-backs from the last two games gone, and wing Jacob Stockdale having started all three matches in the window, there is space for Andrew Conway, Sam Arnold and Darren Sweetnam to feature. Stuart McCloskey looks certain to start at 12 to win his third cap, while Will Addison or Arnold could come in at outside centre. Joey Carbery and Ross Byrne will likely share out-half duties, with the Rugby Writers Player of the Year Johnny Sexton expected to have the weekend off. 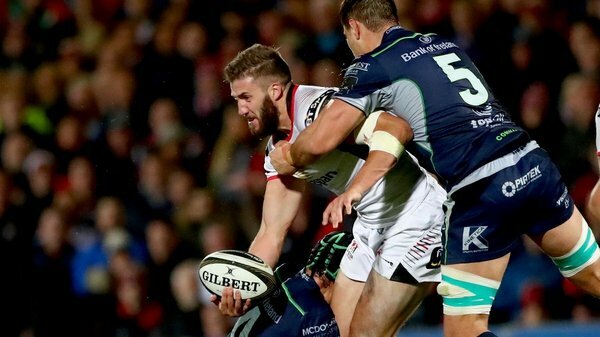 Ulster's John Cooney could get his first start at scrum-half. Up front Finlay Bealham, Dave Kilcoyne, John Ryan, Rob Herring and Niall Scannell will be eager to see action, but giving Andrew Porter a rare chance from the beginning would be a worthwhile exercise. Second row Tadhg Beirne is due a starting berth having missed out in the last two match-day squads. 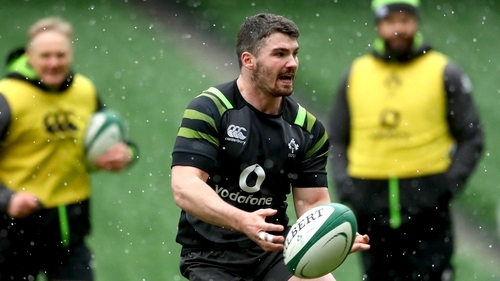 Quinn Roux, who partnered him in Chicago against Italy, may come in again should Schmidt opt to keep Devin Toner or Iain Henderson in reserve. Jack Conan, Rhys Ruddock and Jordi Murphy are the likely back row. Speaking during the week, skills coach Richie Murphy said: "Guys, obviously, who play on Saturday have last Saturday to compete with. "It's their last opportunity in the green jersey for this period so they will want to go out and leave that in a really good place going into what will be a busy period for them over the December Heineken Cup games and so on. "There's a nice buzz around. The focus has definitely switched. We're in a situation here where you don't get to sit back and enjoy what has happened for too long, you just got to move on to the next game." Possible Ireland team: Will Addison; Andrew Conway, Sam Arnold, Stuart McClocksey, Darren Sweetnam; Ross Byrne, John Cooney; Dave Kilcoyne, Niall Scannell, Andrew Porter; Tadhg Beirne, Quinn Roux; Rhys Ruddock, Jordi Murphy, Jack Conan.